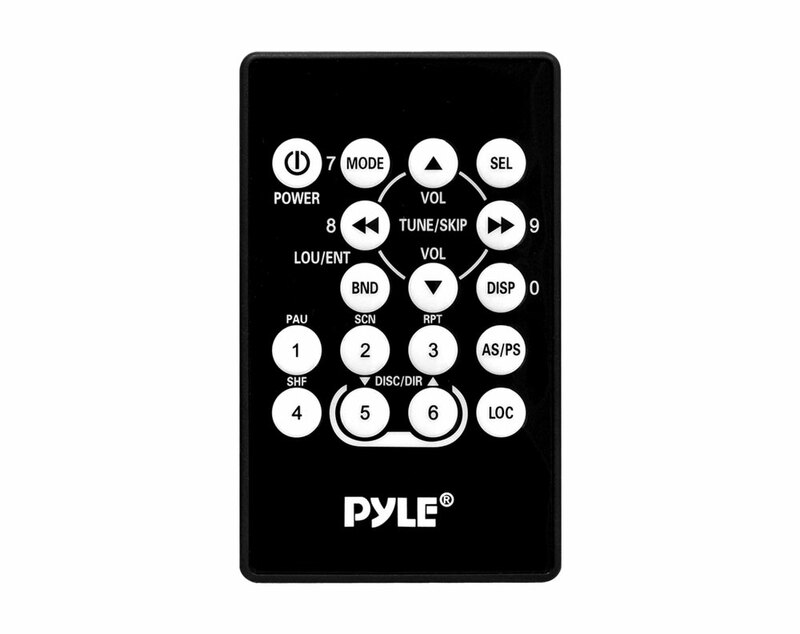 Check out this fully equipped marine stereo headunit receiver from Pyle! It's equipped with a dual-band radio (AM/FM), CD player, USB drive, and SD slot for digital music playback. Plus, you can hook up an external MP3 player using the front-panel 3.5mm aux jack. 3-beam laser tracking and 8x oversampling on the CD mechanism ensure the highest quality playback. Display shows relevant track info, including minute and seconds. Store up to 30 radio station presets. Anti-skip mechanism prevents track skipping even on the bumpiest trips. 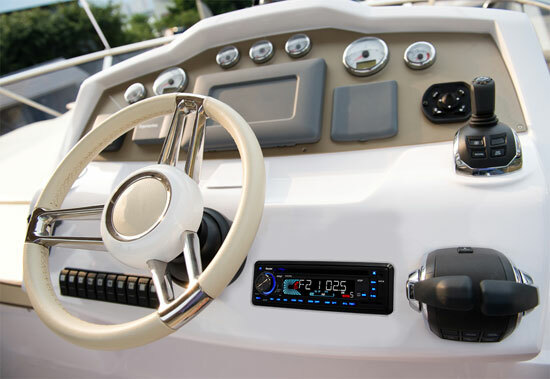 This headunit pushes 50 watts on each of four channels for a total of 200 watts maximum. The face of the unit is detachable and storable in an included carrying case. Includes a fully functional remote control. Color: black.